Today, along side the massive iOS software updates, Apple released iTunes 10.6 for Mac OS X and Windows PCs. 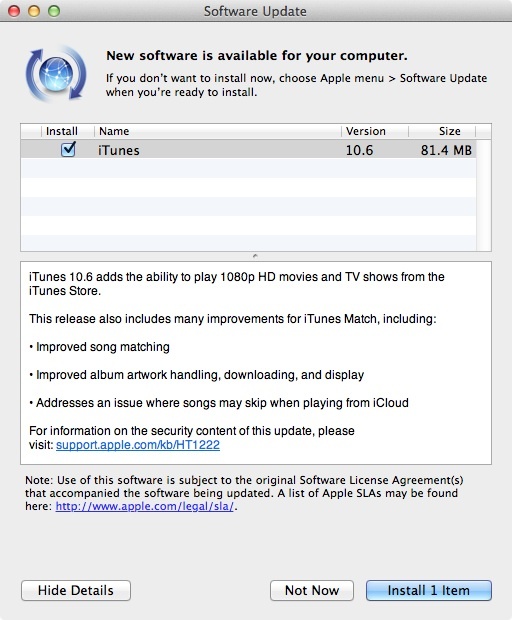 iTunes 10.6 adds support for devices running iOS 5.1, and high definition 1080p videos purchased from the iTunes Store. Apple also included enhancements to the iTunes Match features of iCloud that was launched last year. 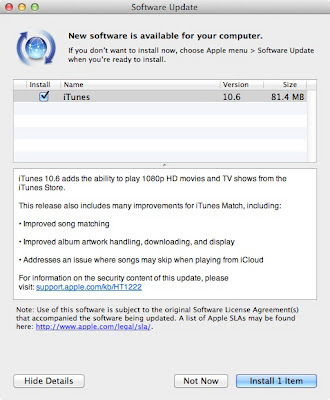 You can download iTunes 10.6 either by using the Apple Software Update application on your computer or download the installer from the iTunes website.